Alice is a Traditional Chinese Medicine practitioner with a skill set that includes Acupuncture, Chinese Herbal Medicine, and moxibustion. She graduated from University of Technology Sydney with a degree in Applied Science in Traditional Chinese Medicine, and has completed an internship at the China-Japan Friendship Hospital, where she trained in several of the hospital wards, including dermatology, gynaecology, oncology, and musculo-skeletal wards. In her practice of Traditional Chinese Medicine she believes in having a holistic approach towards health and well being. There is a focus on trying to provide symptom relief, understanding the root cause of the symptoms in addition to having an emphasis on the importance of diet and lifestyle as part of the health journey. 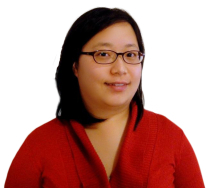 Alice is a member of Australian Acupuncture and Chinese Medicine Association and a registered member of the Chinese Medicine Board of Australia. Available by appointment on Sundays 9am – 5pm. For further enquiries please contact Alice at the House of Fertility & Healing, 02 9560 1100 or book yourself in for an appointment with her via our online booking system.